On October 30, 2018, the round table discussions on «In the interests of achieving sustainable development of transport and mobility for all by the 2030: two years since organizing Ashgabat Conference» were held at the initiative of the UN Permanent Mission of Turkmenistan jointly with United Nations Department of Economic and Social Affairs (UN DESA) the United Nations Office of the High Representative for the Least Developed Countries, Landlocked Developing Countries and Small Island Developing States (UN OHRLLS), the World Bank Group (WBG) and the International Centre for Transport Diplomacy (ICTD). The Heads and employees of the UN Secretariat, its Regional Commissions, Permanent Missions representatives and diplomats of member-state missions at the UN, NGOs and public organizations members have attended the event. The Ambassador, Permanent representative of Turkmenistan to the UN A.Atayeva has noted at the begininig of the briefing that Ashgabat hosted the First Global Conference on Sustainable Transport two years ago. Mrs. Ambassador has informed that enormous work has been done in susatainable transport development in Turkmenistan after organizing the first conference. 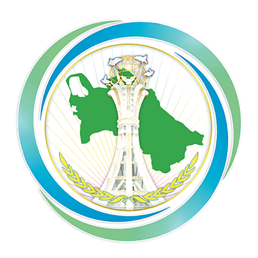 In particular, multilateral (pentilateral) agreement on establishing transport corridor «Lyapis Lazuli» was signed, the International Sea port in Turkmenbashi was launched, the UN General Assembly Resolution on sustainable transport development was adopted and the World Bicycle Day was established. In accordance with the article 2 of the UN General Assembly Resolution 71/212, the General Assembly suggests General Secretary to consider calling another conference on sustainable transport to ensure implementation of goals of the first conference. The Ambassador noted that the Government of Turkmenistan has repeatedly expressed its readiness to host the next conference. The UN DESA representative underlined the importance of organizing the First Global Conference on Sustainable Transport and also noted that despite transport sector being among factors polluting air, it still remains as a key tool to implement SDGs. The representative of International Centre for Transport Diplomacy explained the role of the Centre in implementing the UN Conventions and the Agenda 2030 related to transport. Permanent representatives of the Russian Federation, Canada, Tajikistan and Kyrgyz Republic have supported the initiatives of Turkmenistan to host next Global Conference on Sustainable Transport and thanked Turkmenistan for actively pursuing sustainable transport issues at the global and regional levels.